For more than 10 years, Subprime Analytics has conducted due diligence, portfolio monitoring, and agreed upon procedures engagement for more than 30 capital providers to the subprime auto industry. Our proprietary data mining and extraction technology is a cost effective way to examine databases large and small. The results from our computerized analysis can be used to customize the scope of each engagement. See below for a sample Due Diligence program. Contact us today for a free no-obligation consultation. You can also download a .pdf version of our sample Due Diligence program here. Extensive references are available upon request. Bank (“BANK”) intends on engaging Kenneth Shilson & Associates, P.C. (Subprime Analytics), to perform various agreed-upon procedures to evaluate the underwriting for a proposed credit facility. Below is an outline of the diligence objectives in connection with this proposal. This outline was created to serve as a framework for formalizing the diligence objectives and discussing who—either BANK will be conducting the various components of the diligence. a. Review the bank reconciliations as of the most recent balance sheet date and for a selection of previous month ends to assess whether or not reconciliations are performed in a timely and accurate manner. i. Review a reconciliation between the DMS system and the contracts receivable balance as of the most recent balance sheet date. ii. Obtain a current (“today’s”) aging on site and perform testing to ensure that the system is aging account accurately. iii. Scan the current aging obtained on site for “Paid Ahead” accounts. Assess if paid ahead accounts are really deficiency receivables; those to which insurance proceeds have been applied due to the vehicle being destroyed. iv. Document customer’s credit acceptance standards and its underwriting approach. v. Please document whether customer buys contracts after they are originated by an unaffiliated dealer or if customer originates. vii. Cost Build Up—On a sample of 25 contracts perform a buildup of the cost. This study will focus on understanding what customer pays for its contracts relative to the principal balance of its contracts. If the customer has a captive sales operation, determine their cost in deal. ix. Obtain and document the charge-off policy and then review the company’s data to ascertain if they are following it consistently. x. Determine if the company has a recovery function and how effective it is. xi. 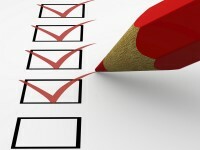 Identify the number of bankruptcies and other special collection situations and list them for you. xii. Ascertain and document whether the company is using electronic payment devices. xiii. Ascertain and document whether they are selling add-on products and how these impact their portfolio performance. xiv. Phone Verifications—select a sample of recently originated accounts and contact the borrowers to ensure the contracts are valid. i. Run the KSA proprietary Subprime Analytics computer analysis from a customer provided data extract. ii. For all months in the most recent year, assess the trend of agings. Tie the trend analysis to supporting aging reports from the DMS system. 2. Generally reconcile/correlate the monthly P&I collections per bank statements to the collections per the rollforward. a. As of the most recent balance sheet date, obtain a detailed aging of AP that reconciles to the amount on the balance sheet. b. Obtain a current detailed aging of AP. Assess the aging for any large past due balances, and it there are any inquire about them. a. Test the remittance of and status of payroll tax compliance. a. Document their insurance coverage policies. a. Perform the financial spread analysis of the customer. Subprime Analytics has been visited 1,685,060 times.